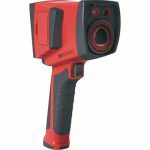 This Flir T400 series is one of my favourite from FLIR. It represents genuinely good value for money, has an innovative design and offers excellent ergonomics and performance. Shows a live graph of temperatures across a line on the image. The “bx” variants are for building diagnostics, so they earn some extra functions for building applications. Those functions include Insulation alarm, dewpoint alarm and higher end models have compass. Once again, it’s the “quality feel” that is so noticeable with this camera. 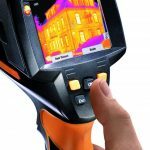 Flir have stuck with the brands traditional values of manufacture and produced a very high quality piece of kit. It shows in all aspects of the design and you would happily part with your money for this unit. The camera is typically unremarkable in that it does what all its competitors promise, but what really sets this camera apart is the build quality and ergonomics. The unit is solid and robust with an abundance of soft touch rubber and plastics. The lines are sleek and for a unit with a decent size screen it is very compact. The articulating lens is the real magic. 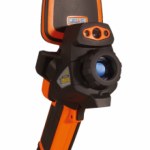 As with any camera that supports this design, such as the Testo 885, it is far superior for imaging at non-conventional heights (think sub floor, ceiling, overhead network, down cavities, underneath equipment etc). Nothing competes with flexible rotation of the lens or screen for continuous work. It also sheds significant load off the back and neck. The only gripe I have with feel is the joystick. Instead of feeling soft and compliant, like an extension of your thumb it is hard, stiff to move and somewhat unpredictable. It’s a little out of character and is a noticeable contrast to the rest of the “solid” feel the unit exudes. On the plus side there is a dedicated button for the laser pointer which is a really nice feature. The casing is sturdy and very well finished. All the joins and plastics align nicely and the unit just “exudes” quality. The connections and interfaces (ie power, USB etc) are housed behind a nicely latched door with a solid rubber seal for keeping the nasty stuff out. It’s on a decent hinge, so it’s unlikely to fail as quickly as some of the “rubber” hinged doors found on many entry level cameras. (see image below). The rubbers are soft and nice to touch, but they do wear easily. On my own unit which is now pushing 2 years old, it looks well past its age and certainly has held up as well as some of my other cameras. The battery bay is much improved over the EXX series, and has a solid mechanism to hold the battery in place. In over 2 years of operation I’ve never had a problem here. Nicely done. The screen display and menu system is excellent. Accessed via Touch screen or keypad control the primary menu system presents itself on the left hand side with an array of Icons designating the functions of Parameters, Palette, Analysis, Camera Selection and Setup Tools. Being Icon based those not familiar with Infrared cameras may take a little while to understand what the icons mean. However once into the submenus everything is very well laid out and intuitive to navigate. Sometimes after extended operation it can get a little laggy as it appears to be running low on resources. In terms of viewing quality, the screen is bright and clear and overall the presentation is excellent. Noticeably the colours are dull compared to some other brands and I am not sure if this is a screen output issue or the choice of FLIR’s colour palettes, but other brands certainly are a little more vivid. My only other criticism is that some of the smaller fonts and onscreen details lack clarity. It appears that resolution is not sufficient to support some of the smaller characters, ie like the word “box” or “max” temperature indicator is very pixelated. * Nevertheless these are superfluous to the primary functions. The focus mechanism is all electronic and really is a love or hate relationship. The auto focus feature is excellent. On standard objects it is super-fast and accurate. In a more complex scene with foreground and background components it is bound to frustrate (like all autofocus mechanisms) and you will need to revert to manual adjust. It’s the manual adjust that is a tad more bothersome. Using a shuttle shift key (left and right) you can adjust the electronic focus in steps. For a motor drive it is rather smooth, but certainly doesn’t compare to the fine adjustment afforded by fingers on a manually adjustable lens. If you have used a manual focus in the past you might be somewhat critical of electronic manual adjustment. As I said… love or hate. Some people love it… other’s not so much. 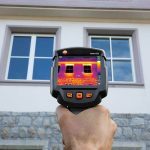 The Flir T400 series is loaded with Tech… but those who know my reviews, bells and whistles don’t impress me much. MSX, bluetooth and wifi all sound nice, but how exactly do I apply it in the real world? 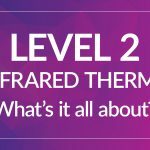 As a thermographer for almost two decades I simply don’t rate it. As far as the wifi to Ipad/iPhone app goes, it’s good in principle but fails the litmus test. My ipad is only a better interface if the thermal imager’s is insufficient. If I can easily browse my images and show my customer what I’ve found during my survey on my camera why would I need an ipad? Good cameras, with good screens and good user interfaces can review images just as well as an ipad. “Yeah, but I can do a report on my ipad” I hear you say. Can you? have you tried it? are you ready to hand “that” over to a customer? Are you acclaimed at having high quality standard compliant reports? Providing standard compliant reports with thorough analysis and accurate data takes hours to achieve in the office. People that say they do it on-site are simply submitting images… not a report! There is no substitute for a PC here, and all attempts I have seen at performing a report on an IPAD app will result in a document that does not meet the standard levels for compliance. Have you included load measurements? load corrected maximum temperatures? target identification? environmental factors? summary of images? Inventory list? analysis of thermal pattern? comparison to historical data? and other standard compliant data? I do like Bluetooth or wifi when I can download imagery without having to “connect physically” to my PC. Other great features include the 3.1 megapixel camera and super bright LED which creates a crisp, clear visual image, even in low light. The text and voice annotations work the best of almost any system I have seen. 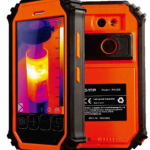 Still, I would not use them because you can’t document the status and condition of equipment that you are not capturing a thermal image for. I still need a better method for data collection for all the non-exception items. This is something I have not seen any manufacturer sufficiently address. The standard temperature range is up to 650°C which is a real bonus. For information on the software suite I will review this separately as it applies to the entire series. Value for money will depend on what you value. If a quality built long lasting tool is more important than image quality, then this will be the unit for you. Overall you would not be disappointed in owning this camera. 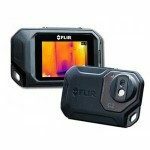 Sure, you can get more for less but it wouldn’t be a Flir then, would it?